The perfect apron for your little helper. 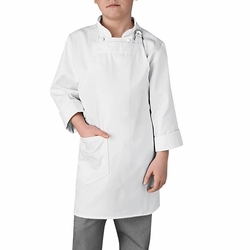 Ideal for your child working with you in the kitchen, working with crafts or even school. With 1 generously sized pocket it is ideal to put crayons in or anything else while keeping your child clean. 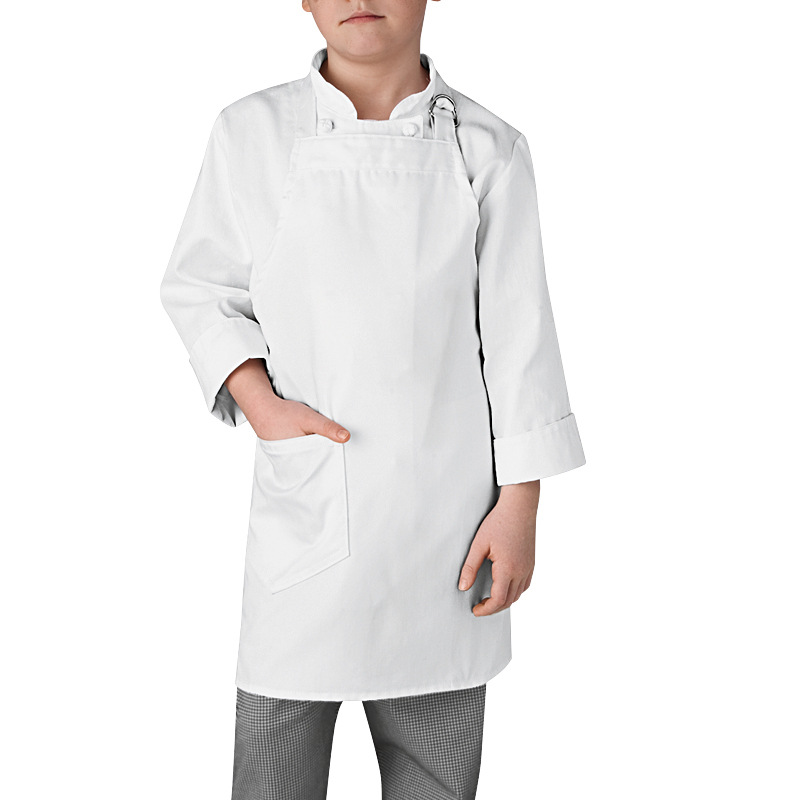 This apron is so versatile - the junior cook can wear it in the kitchen, the garden, the craftshop or the workshop. White only. Available in 1 size only. Neck strap can be adjusted to fit a bigger child.